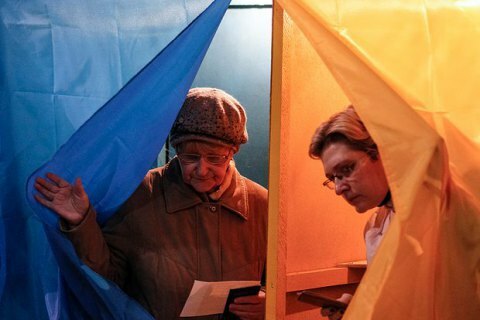 Some 42.3 per cent of respondents have spoken in favour of Ukraine holding an early parliamentary election, as revealed by a survey carried out by the sociological service of Gorshenin Institute. There were 11.6 per cent of the respondents who did not make up their mind. Party and presidential ratings as well as other findings of the survey will be presented at a news conference at Gorshenin Institute on Tuesday, 23 February 2016 at 18b, Mala Zhytomyrska Street, Kiev. For accreditation, call 044 230 49 62. Gorshenin Institute carried out an all-Ukrainian sociological survey entitled "Social and political sentiments of Ukrainians" from 8 to 17 February 2016. Overall the sample, based on the key social and demographic characteristics of the Ukrainian population, included 2,000 respondents aged 18 and above from all regions of Ukraine (excluding the occupied territories of Crimea, Donetsk and Luhansk regions). The quotas included an area of residence, gender and age of respondents. The margin of error does not exceed +/-2.2 per cent. The president's game: why has Yatsenyuk's government survived?